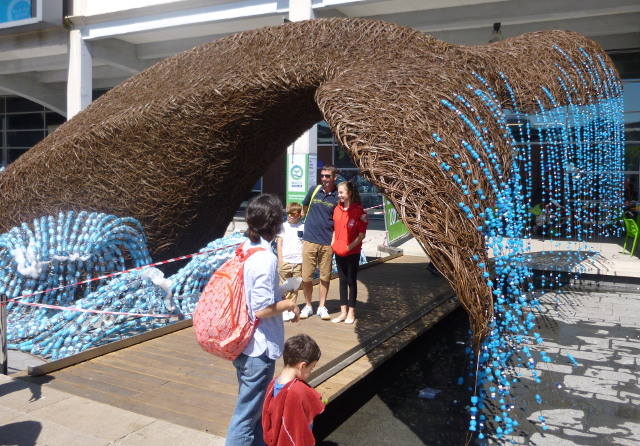 I recently encountered a pair of whales in the centre of Bristol. Not in the harbour, where you might expect the occasional sighting of a cormorant, but in a fountain on Millennium Square. 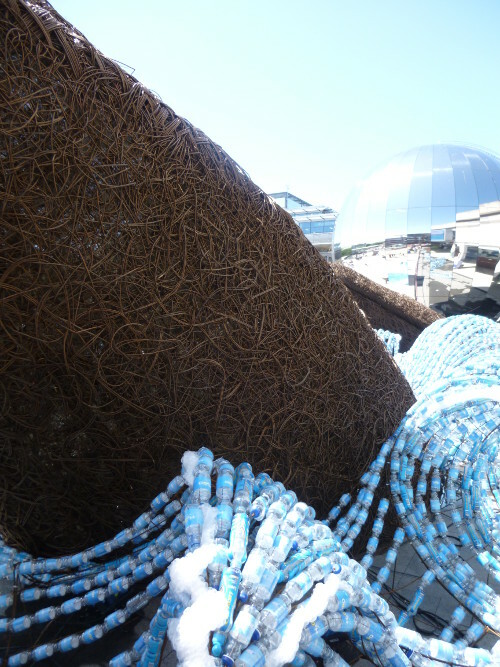 Made from Somerset willow woven into the two immense marine mammals, it’s a truly imposing work, with 70,000 plastic bottles, collected at the Bath Half and Bristol 10k forming the swirling, glimmering ocean they swim through. And yes, those are bottle tops hanging from its imposing tail. 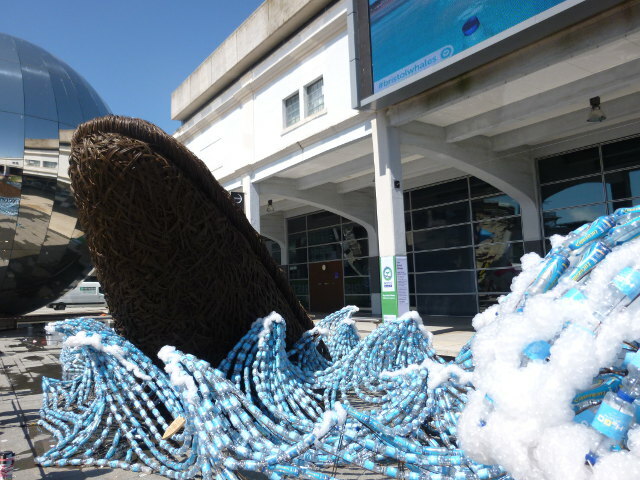 It’s a really dramatic, beautiful way to draw attention to the 15 million bottles we send to landfill every day – apparently around eight million tonnes of plastic end up in oceans each year, equivalent to the body weight of 45,000 blue whales. 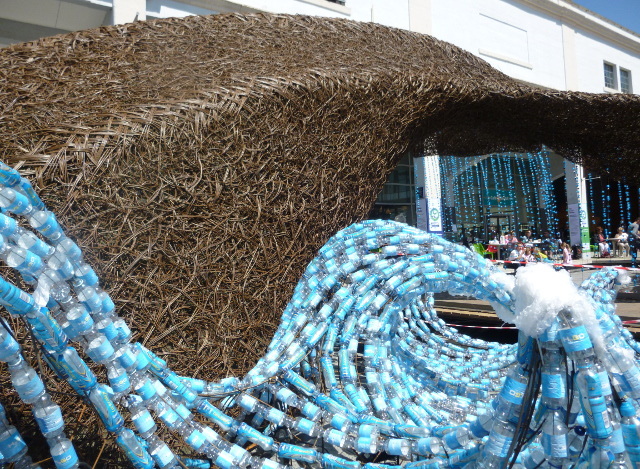 So the message is, avoid single use plastic, upcycle and, when you’re thirsty, think of the whales.